Ultimate Resident Evil Giveaway: Win the entire 10th Anniversary Action Figure Set! Now that Ezio has been sent to a good home we have something extra special for you guys. In celebration of the Resident Evil 6 release, we received the complete series of Resident Evil 10th Anniversary action figures by NECA — and one lucky fan will be winning the entire set! There are four very special figures in this set, including the monstrous Tyrant who stands almost 10″ tall. The Tyrant is a behemoth of a zombie. It is the ultimate life-form made possible through the T-Virus. The Tyrant boasts impressive durability and battle capabilities. This massive figure is nearly 10″ tall. 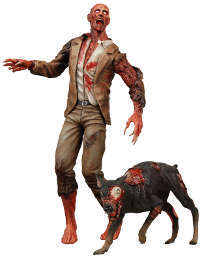 Lickers were once ordinary zombies who mutated to become much more vicious. The T-Virus caused them to mutate further and gain the ability to jump great distances. They attack with their teeth, claws, and their super tongues. When a zombie is revived through the V-ACT process, it becomes what is known as a Crimson Head Zombie. This evolution causes it to gain much more mobility, and its lust for victims is ramped up significantly. 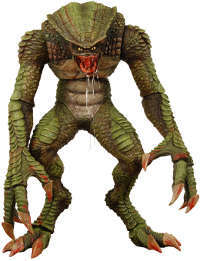 This lizard-like monster was developed by fusing reptile DNA with the T-Virus. The menacing Hunter has razor-sharp claws and tough, scaly hide! In order to gain entry to this giveaway you will need to answer the trivia question. You can also gain an advantage if you have Twitter and Facebook! Stay on the lookout for more great giveaways from us! 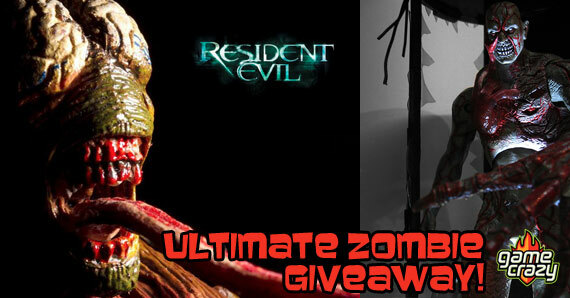 Resident Evil Action Figure Giveaway – Sheva Alomar & Crimson Head Zombie Resident Evil 4 Action Figure Giveaway – Ada Wong and Verdugo! 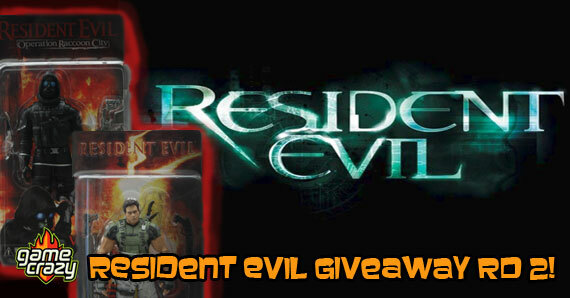 Resident Evil 4 Action Figure Giveaway – 7″ Leon & Chainsaw Ganado Resident Evil Giveaway #2 – Chris Redfield and Vector Action Figures Rare Resident Evil Action Figure Giveaway – Executioner Majini Japanese Edition! Rare Gears of War 2 Action Figure Giveaway! Bioshock 2 Giveaway – Deluxe Big Daddy Bouncer Action Figure Borderlands Giveaway – Jakobs Claptrap Deluxe Action Figure! 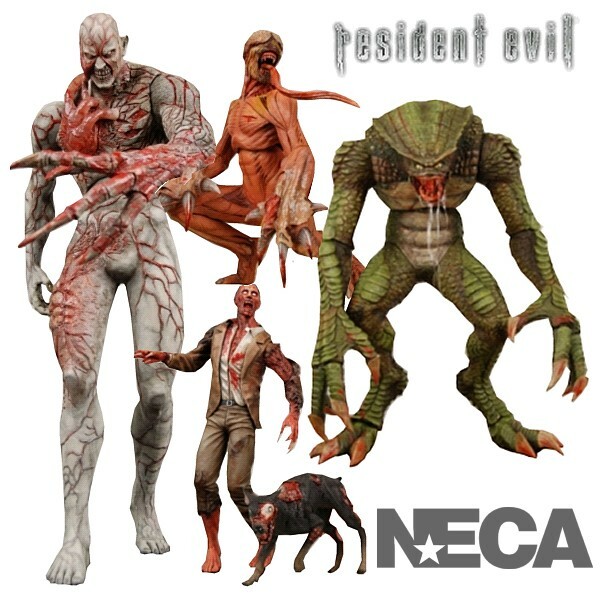 This entry was posted in Contests & Giveaways, The GC Blog and tagged neca, resident evil, resident evil figures, resident evil giveaway by summerm. Bookmark the permalink.